Personalized red & white 42” arc windproof vented auto-open umbrellas can boost the fervor of any duller campaign with their impressive color profile. 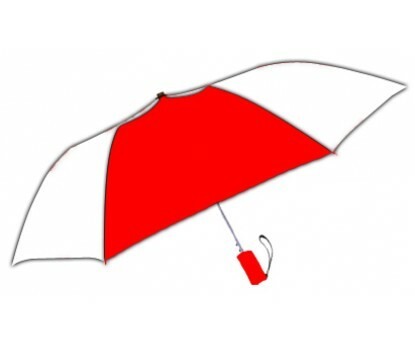 This umbrella serves as a crowd puller and people are easily bound to get drawn to this colored umbrella. 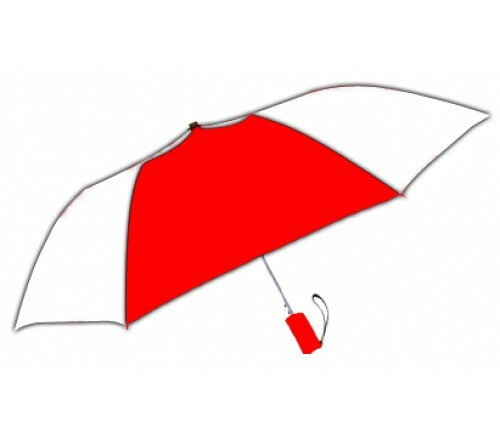 This promotional umbrella features an adorable 42” arc vented red & white canopy, automatic open function, folds to 15” long, windproof frame construction, round metal shaft, and rubberized matching sure-grip handle. This umbrella is offered with matching fabric case. Imprint area - 4” x 6”.